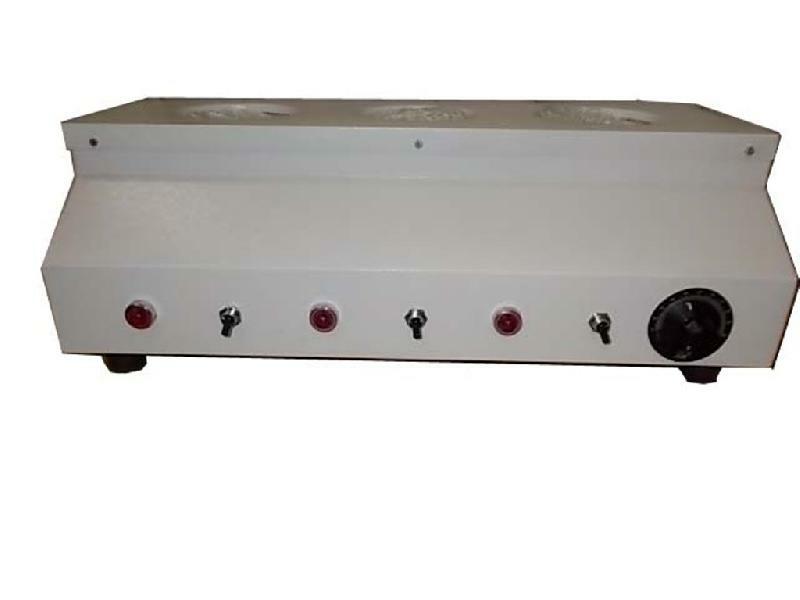 Hot plates have individual on-off switches & indicators. Provided with one common energy regulator to control all units. Without glass parts. A unit of 3 hot plates. A unit of 6 hot plates.